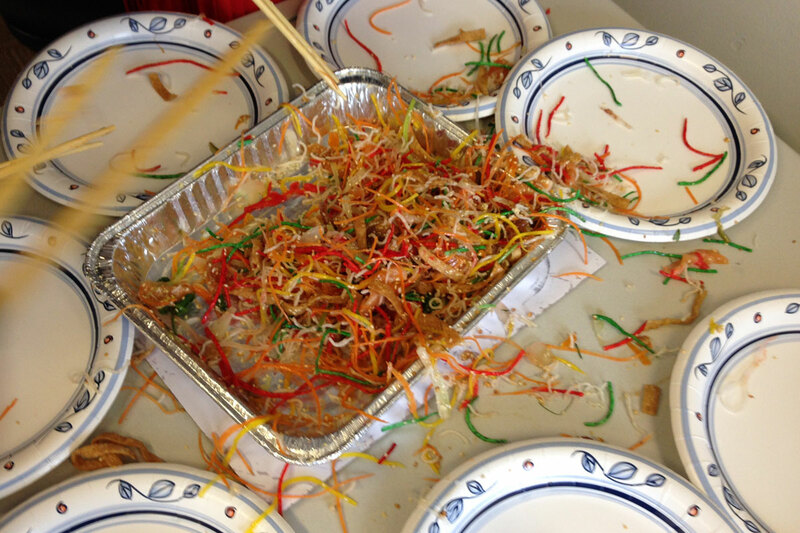 Popupla editorial assistant Becky Cheang is making a mess in Singapore for Chinese New Year. 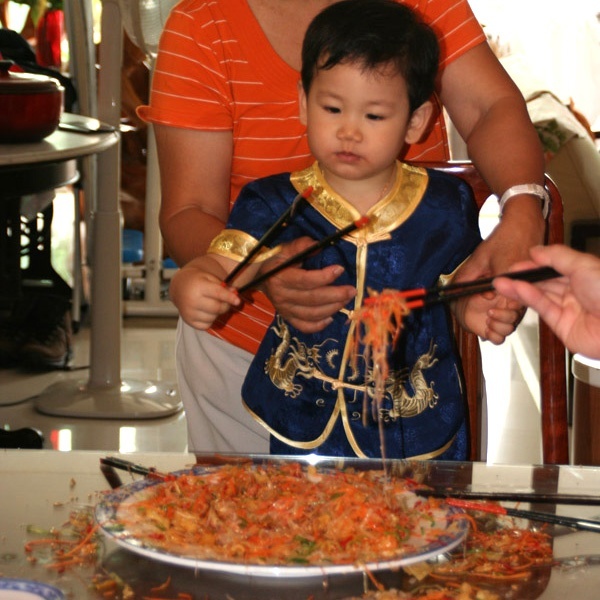 She shares the beautiful art of preparing Prosperity Salad for a tasty toss of good fortune this holiday season. 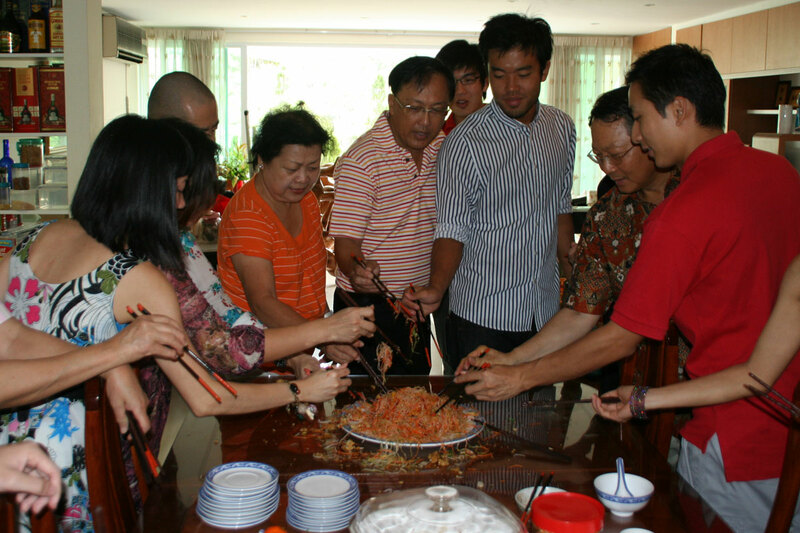 The salad contains more than twenty ingredients, including shredded vegetables (carrots, turnip, radish), raw fish (usually salmon), pomelo, pickled ginger, crushed nuts, spices, sauces, and crackers. A set typically s ten to fifteen, and my family always buys at least two of them. In Singapore, preparing the full salad set is the exception. Supermarkets start selling sets two weeks before Chinese New Year and many restaurants serve their own variations. 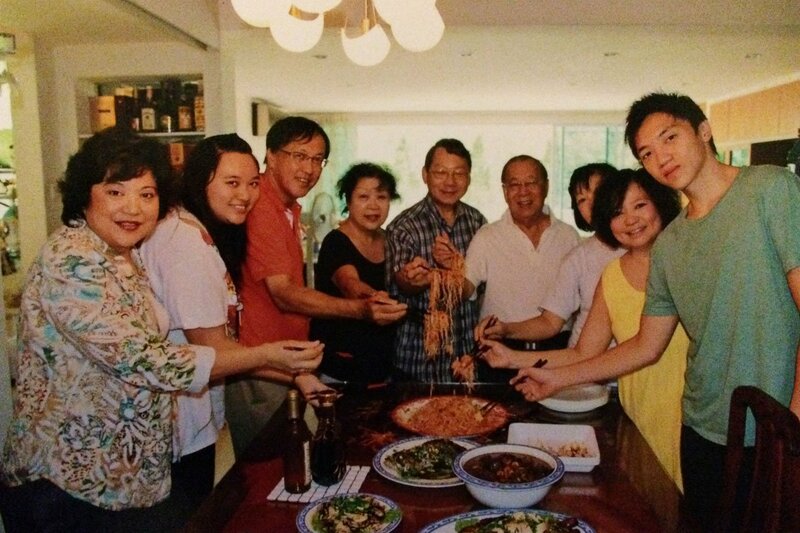 I know a family that does the set and prepares extra vegetables for a much needed detox after all the heavy eating. 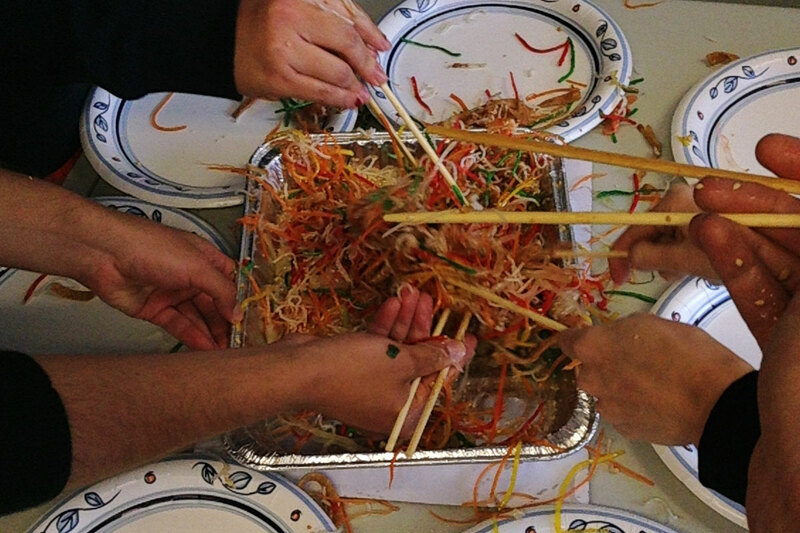 This is why I love doing yu sheng so much. It's an occasion for the whole family to gather together to shout out wishes, dreams, plans, and hopes for the year ahead. When I moved to New York City from Singapore two years ago, I was unsure how I'd handle the holiday without my family. But I was thrilled to discover that and in Manhattan offers it every season to eat in or take out. 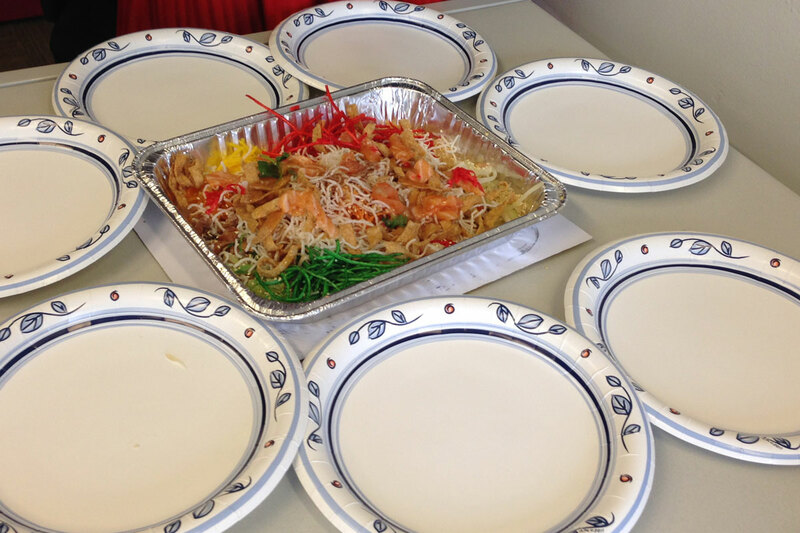 I bought a set from Nonya last year and introduced it to Team Popupla. And, well, we've had a good year. I'm back home for this new year, but no matter where I may be, mom will always throw in some well wishes for me. Tossing the salad in the Popupla offices, before, during, and after. Photos by Berit Baugher. У нашей организации нужный веб портал с информацией про https://sribnapidkova.ua.